Abundant sunshine. High 67F. Winds E at 10 to 15 mph..
Ernest B Gaines Jr passed away of heart disease on March 31, 2019 at 7:00 am at Inter-Community Hospital in Azusa Calif. Ernest Jr (aka Little Ernest) was born May 31, 1970 to Ernest B Gaines Sr and Almetta (Wright) Gaines of Pacoima California. Ernest was the youngest of 4 children. He was Baptized at Mt Zion Baptist Church in Pacoima at the age of 5. The family relocated to Simi Valley in 1978. Ernest attended the Simi Valley Schools until at age 18 he earned a certificate of completion. He went in the restoration business which he loved because it allowed him to travel and live in 5 Star hotels all over the country such as the Caribbean and on the West Coast. He loved outdoor activities such as mountain biking and hiking. He loved dogs from an early young age and he was very gentle, kind and helpful. He was lovable and liked by many. He now joins his mother in the hereafter. I would like to Thank my daughter so very much and my son in law for the loving support he received from them during his final day of his life. 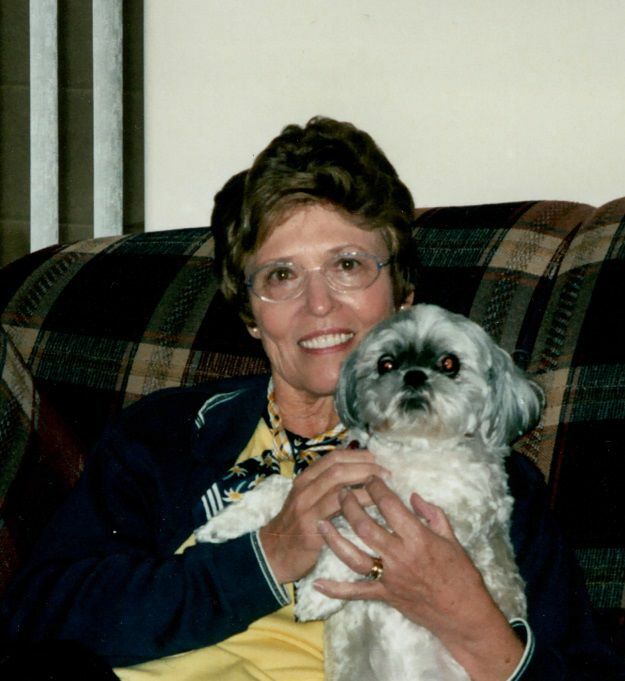 Judy passed away on March 29, 2019 from Pancreatic Cancer at the age of 80 with friends and family at her side. She was born on January 25, 1939 in Ithaca, New York to Edward and Virginia Palmquist. Her family spent a short time in Canada before settling in Columbia, Missouri. Judy graduated from Hickman High School in Columbia. She earned her Bachelor of Science in Education from the University of Missouri and her Master of Education at Ohio University. Judy met her husband Dan in 1962, and the two were married on December 4, 1964. In 1972 they relocated to Flagstaff, Arizona where the raised their two children. Judy had a distinguished teaching career with the majority spent at Sechrist School in Flagstaff, AZ. Her primary focus was 1st grade and Special Education. She enjoyed spending summers on the beach at her parents’ home in Hilton Head Island, South Carolina. In her free time, she was an avid tennis player, piano player, a great hostess to guests in her home, and affectionate grandmother. Judy and Dan enjoyed their retirement years in Sun City, Arizona, Anthem, Arizona, and Olathe, Kansas, before moving to Denver, Colorado last year. Judy will be fondly remembered as a kind and loving person, with a soft spot for children and animals, always offering her time and attention to those in need. Judy is survived by her husband of 55 years, Daniel Peterson; children, Juli (Kevin) Grossman, Lloyd (Jennifer) Peterson; grandchildren, Jaden, Dax and Blaze Grossman, Allison, Anna and Nicholas Peterson; brothers, Robert (Judy) and William (Genevieve) Palmquist; many nieces and nephews, and numerous friends. A Rosary prayer service will be held at 6:00 pm on Thursday May 16, and we will celebrate her life at a funeral mass on Friday May 17th at 10:00 am, both at the Divine Mercy Parish, 555 West Main, Gardner, KS 66030. In lieu of flowers, donations may be made in memory of Judy Peterson to the CU Foundation online at https://giving.cu.edu, or by mail to the CU Foundation, P.O. Box 17126, Denver, CO 80217-9155. Please share memories and condolences by visiting www.HoranCares.com.